The best exercise plan for men is one that helps you burn belly fat, increase lean muscle, and become more muscular. Are you fed-up with looking in the mirror after a shower and seeing a soft, fleshy-looking guy with flabby love handles staring back at you? Have you quickly lost interest in a couple of "diets" or hyped-up workouts you tried? Have you spent money on high-tech sounding supplements that turned out to be expensive...but worthless? Are you embarrassed to take off your shirt around a group of women because you know you look soft and unmuscular? It doesn't have to be that way, any longer, if you can adhere to a few simple (but mentally difficult) principles of nutrition and exercise physiology. However, before we go any farther, let me be clear that there is NO secret, magical, silver bullet workout program at the end of this article. Why? Because it is like saying there is one investment plan that will give you riches in retirement...or there is only one woman who will provide for your every need. "Exercise plan for men" is a hugely popular search term, online. Guys will spend hours looking for the one key that will help them become stronger, more lean, and more muscular. It is all readily available, but guys normally blow right by it. Why? Because the way to lose belly fat and put on more muscle requires three things the majority of men do not want to commit to: self-discipline...time...and intense effort. To get rid of flab and love handles, become stronger, and reduce your percent body fat, you must make significant lifestyle changes. Let me repeat that: You must make significant lifestyle changes. Some very easy activities (eating crap food...spending hours on iPhones, iPads, laptops and TV...unfocused workouts...jogging) must be given up, and they must be replaced by habits that are difficult to maintain. Things like eating more consciously and eating to build muscle, strength building workouts that are brief and intense, and cardio that includes some very demanding interval training. The points I elaborate on, below, simply will not work for guys who: make excuses about their lack of self-discipline, guys who are lazy, guys who are looking for a phony "6 Week To A Muscular Build" course, want a special supplement, want a "cheat day", or those who simply cannot follow through. However, if you are the type of guy who can discipline himself to eat with awareness, workout regularly and consistently, not shrivel-up in the face of 20-30 second intense intervals, and think in terms of "months"...not "days"...you can burn belly fat and become more muscular than you ever imagined. The best exercise plan for men is one that stimulates maximum hormonal response. I will provide you with some excellent resources at the end. Any quality exercise plan for men must start with changing your current diet to one that focuses on two aspects: (1) creating a weekly calorie deficit to lose soft flab, and (2) providing optimal nutrition to increase hard lean muscle. This is the exact protocol that trainers and nutritionists of Olympic and professional teams follow. Burn this into your brain: No workout program in the world can overcome a poor diet. Belly fat will not be lost, and muscle will not be developed. * You must learn how to eat with more awareness. When you eat consciously, you will know EXACTLY what you are putting in your mouth...and how it will effect your body. * Sugar foods have got to go. Doughnuts, boxed cereals, energy drinks, pastries, ice cream, deserts, etc. have zero muscle-building properties. Nada. All they do is create substance to expand your fat cells. * Processed foods and grains must be severely reduced. Yes, I know pizza, bread, pasta, buffalo wings, salty snacks, $5 Foot Longs, and beer all taste great...but how muscular have they made you look in the past five years? * You must include solid protein sources like turkey meat, grilled chicken, wild fish, buffalo meat, venison, etc. with every meal or snack. NOT smoothies or protein shakes, but solid protein sources. 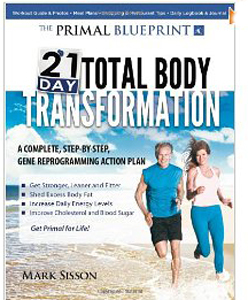 Perhaps the best resource for eating to lose male belly fat and become more muscular is the Primal Blueprint 21 Day Body Transformation. Exercise Plan For Men - What's involved? 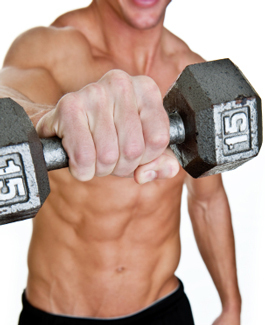 Getting rid of flab and putting on muscle is the goal of every male who works out. The problem is, unless you are truly genetically gifted, you cannot do both simultaneously. You must pick one or the other. In reality, and this is how Olympians and professional athletes train, it is best to get more lean, first...get rid of the fat...then start putting on more pounds of muscle. There will be some realities you have to deal with, however, and for some reason, a lot of guys can't get past them. * First, you will get smaller. You will lose fat from your your arms and legs, as well as your belly and chest. However, you are NOT dropping muscle, you are dropping fat. * Guys who say, "I want to get big, then I'll cut the fat" never cut the fat. There are guys in my gym who have looked the same for ten years, except now they are putting on more fat little by little. * Your workouts need to stick to fundamental lifts and exercises that actually help you. Here's another problem: the majority of guys do not like to do Squats, Deadlifts, Pull-Ups, Dips, and Seated Military Presses because they require so much effort. They make you breathe real hard, they make you sweat, and they make you real red in the face. They require work. * Cardio is a must whether you want to burn fat or build lean muscle. Forget about long, slow sessions. There will be a couple of times each week when you will need to do interval training workouts. 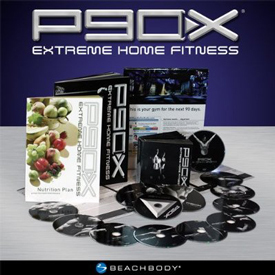 * When it comes to a unique exercise plan for men, the P90X Workout is hard to beat. This is a great combination of strength building movements and interval training. It definitely gets spectacular results, BUT you have to get your nutrition right and you have to put effort into the workouts. 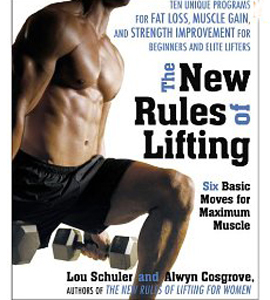 * One of the best books you can purchase for getting a lean, muscular body is The New Rules For Lifting. It deals in reality. You can definitely get rid of belly fat and build lean muscle mass, but it will take vigilance and dedication. Looking for the perfect workout, though, is magical thinking. The best exercise plan for men will demand positive lifestyle changes that focus on optimal nutrition and intelligent full-body workouts that are continually evolving.